In his BBC television TV show Million Dollar Traders former Goldman Sachs trader Lex van Dam trained a diverse group of eight people with no trading experience for two weeks, after which he handed them $1 million of his own money. They then traded his money for eight weeks, and ended up outperforming the professionals. This training program was the basis for his 5-Step-Trading® method. What courses are included in this package? The goal of 5-Step-Trading®Stocks, which is primarily aimed at beginners, is to give you a good grounding for trading and investing in the stock market. Our main ethos is to help Main Street understand the methods of Wall Street. In this second part of his series 5-Step-Trading Stocks® Series II Lex digs deeper into the material that we could only touch upon in the 5-Step-Trading® Stocks Series I course, and introduces new concepts and new ideas. The first part of this course focuses on the typical mistakes that most traders and investors keep making, causing them to lose money. Hopefully by understanding these mistakes you can learn to avoid them. The second part discusses Lex van Dams trading tips to increase the likelihood that you can make money yourself, without needing outside advice. At popular request I have also written and filmed a trading screen module. In this I am sharing the indicators and information that I look at every day on my own personal trading screen, which hopefully you will find useful as well. – Lex van Dam. Lex’s new 5-Step-Trading® FX online course uses his trademarked 5-Step method to teach you everything you need to know about trading currencies. When you buy a currency you back a country and its economy and when you sell a currency you are doing the opposite. Clearly it is essential to try and understand what it is that makes countries and economies successful. Personally I am a big fan of trading currencies, because essentially any economic or geopolitical development will have some sort of impact on the FX market. I read newspapers and watch the news on TV out of general interest anyway and currency trading is a relatively easy way for me to translate my opinions into actual trading positions. Lex van Dam. This course is suitable for beginners and for more advanced traders who want to be able to build a diversified portfolio of currencies. In Lexs Technical Trading Strategies for FX online course we speak about technical indicators and currency charts. When it comes to trading set-ups, fundamentals are pretty much irrelevant; it is purely about price action. Lexs Technical Trading Strategies For FX starts by explaining the different types of traders in the market so you can understand what kind of trader you might be yourself. We will then discuss a variety of technical indicators that Lex uses himself. We will look at how they are derived and what they exactly indicate. 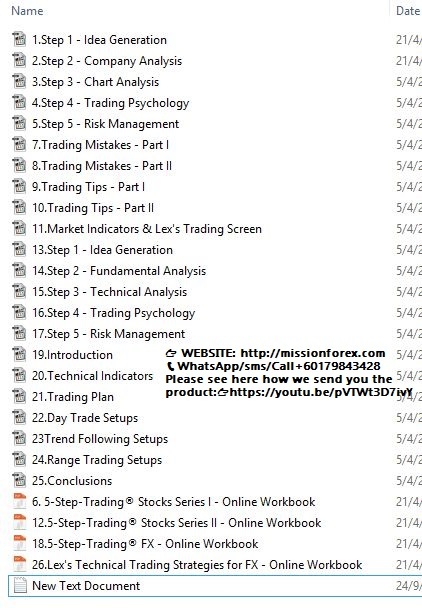 That will lead to what this course is really about  and that is sharing twelve of Lexs favourite trading set-ups. They help make trading less emotional and more objective and probably most importantly Lex uses them himself to generate actual trades. This analysis is not just suitable for currencies, it is also applicable to Commodities and Indexes as well. For more detailed descriptions about each course please look at the individual course offers on our e-store on Udemys platform. Please also do not hesitate to contact our Customer Support Team by email at info@lexvandam.com and we will be glad to assist you. Our courses are for educational purposes only and do not serve as investment or trading advice. All you need is a computer or tablet as you will be learning online. You can take the course at a time suitable for you and from the convenience of your own home. Our online customer support team will be happy to help with any questions you may have. Over 26 lectures and 17 hours of content! The reason Lex writes courses is because there are too many people out there selling secret trading formulas for tons of money. None of these formulas will work under all market circumstances – something that normally only becomes clear after people lose a lot of money. Hopefully his courses will help you think for yourself and choose the right trading setups for your individual circumstances. Professionals and students, as well as highly motivated people from ALL backgrounds could benefit from the Academy’s courses.